Robinson also admits a further charge of distributing 61 category B images and videos, and distributing 555 others which were categorized as category C.
A pensioner has been jailed for seven years for peddling a stash of indecent images of children to other people. Ramon Robinson, of Fossdale Moss, Leyland, pleaded guilty to distributing 338 images and videos of children being abused, which were deemed category A - the most serious in law. The 65-year-old is said to have committed the offences over a two week period in February this year, Preston Crown Court was told. He admitted the offences last month before Preston Magistrates’ Court, but the bench deemed their powers not sufficient enough to punish him and committed the case to the Crown Court. 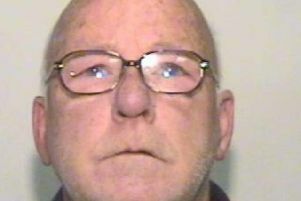 Judge Robert Altham, sitting at Preston Crown Court, sentenced him to two years and four months for each charge, consecutively - making a total of seven years for the offences.